A RAT2-inspired unit and a bass preamp/overdrive. Alongside the release of the Sovtek Deluxe Big Muff Pi, Electro-Harmonix has announced two other dirt boxes: the Flatiron Fuzz and the Nano Battalion. The former takes after the iconic RAT2 pedal while the latter is a bass preamp/OD with a few tricks up its sleeve. 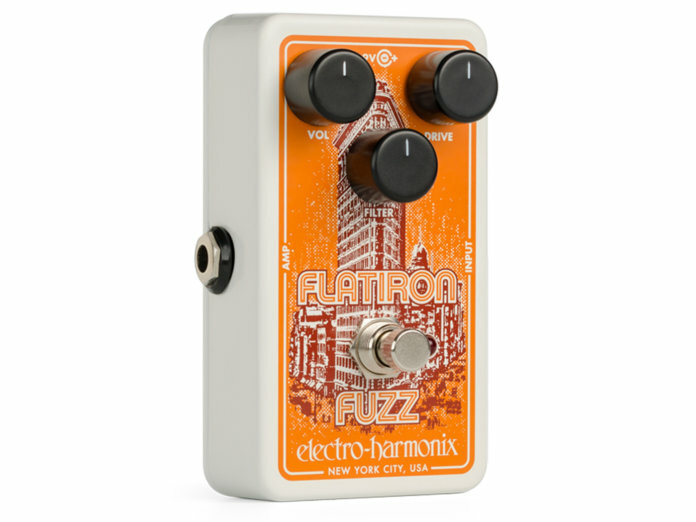 The Flatiron Fuzz is EHX’s take on the iconic RAT2 distortion pedal. It’s a pedalboard-friendly op-amp-powered fuzz/distortion unit that boasts vintage appointments, including a late-70s style drive circuit and symmetrical hard clipping. In terms of sound, the Flatiron shines in both low- and high-gain settings. The former dials in mild distortion, while the latter delivers thick, saturated drive tones. Control-wise, the pedal retains a simple three-knob layout comprising “Volume”, “Drive” and “Filter” controls. The latter functions as a low-pass filter that can be configured for a specific cut-off frequency. This allows you to dial in the desired amount of high end. 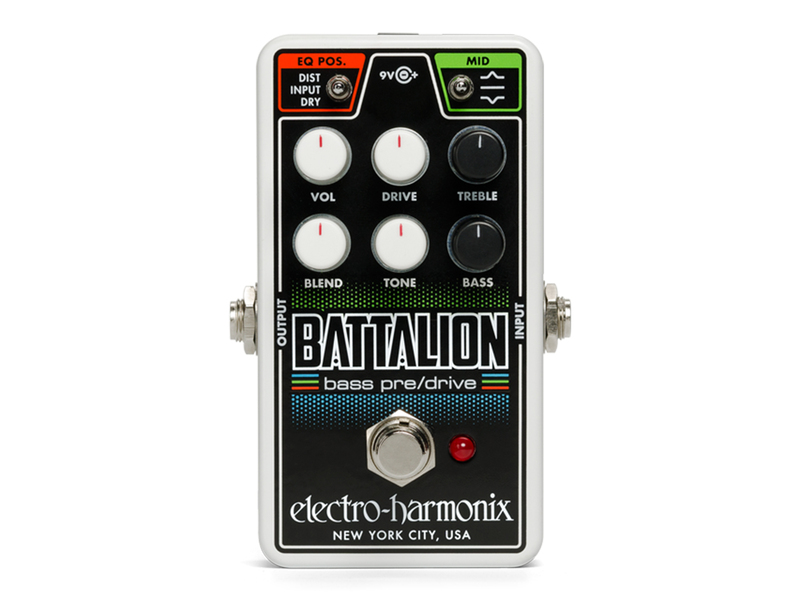 The Nano Battalion is an analogue bass preamp/OD pedal. Designed with the popular MOSFET drive circuit, this compact unit can serve up a wide range of grinding bass tones. Apart from the above, the pedal also features “Volume”, “Drive”, “Blend” and “Tone” controls. Retails for $117.50. More information at ehx.com. *Updated to include demo of Flatiron Fuzz pedal.